While the somewhat-tepid reception of To The Wonder may have spurred people to say, "Hey, maybe you should slow down, Terrence Malick" unironically, the director is nevertheless pressing on with his two back-to-back films, as Malick is uniquely attuned to the impending dissolution of the universe that's really pressuring him with deadlines. Now it seems the second of those—which already stars Ryan Gosling, Rooney Mara, and Haley Bennett, in addition to sharing Christian Bale, Cate Blanchett, and Natalie Portman with Malick's recently wrapped Knight Of Cups—has also added Michael Fassbender, who was spotted on the untitled movie's Austin set. Malick and his acting company have been there off and on for months now, filming a movie about "sexual obsession and betrayal" that's set amid the Austin music scene. (Which, speaking as someone who was a part of that scene for 15 years, I can attest it's swarming with Ryan Goslings and Michael Fassbenders. It's like Austinites always say, "The show was pretty good, but there way too many Fassbenders. 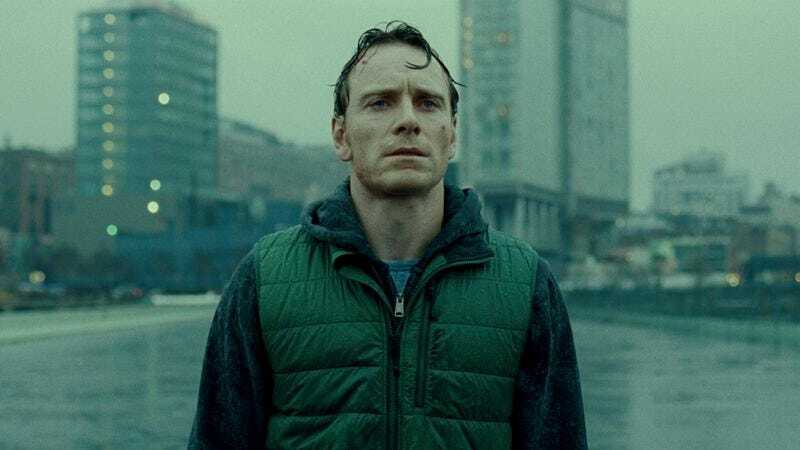 Total Fassbender show.") Anyway, remember this story for a couple months from now, when you hear Michael Fassbender was cut out.